Home / Kentucky Derby 2018 / Kentucky Derby 2018 – Who are the Best Three Longshots? Who are the best 20-1 or greater longshots in Kentucky Derby 2018? 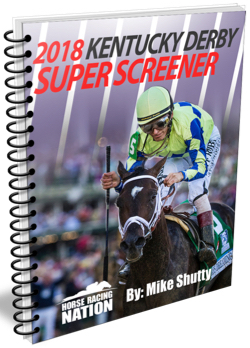 Super Screener author Mike Shutty takes you three longshots that have upset potential in Kentucky Derby 2018! •33-1 Longshot Looking At Lee and 40-1 bomb Battle of Midway paired to hit a MASSIVE $16,000 Trifecta! •37-1 Longshot Commanding Curve nailed a $3,400 Trifecta and $7,700 Superfecta! •34-1 Golden Soul keyed a $6,900 Trifecta! 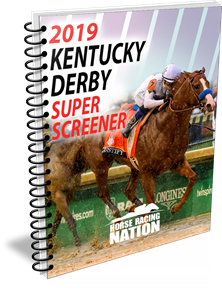 To learn more about how the Super Screener Kentucky Derby system uses historical pace, speed, cycle and trends to separate the Derby field, Get your copy now! ← Previous Story Big Blue Grass Weekend Cashes + KY Derby Implications! 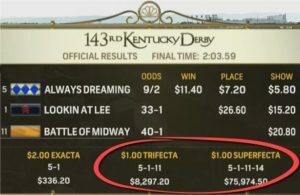 Florida Derby Posts Big Returns – See Results Inside!